We're not used to this child growing out of clothes. Say what you want about growth charts and percentiles, we've been lucky to parent this petite little thing who still wears some of her 18-24 month clothes. 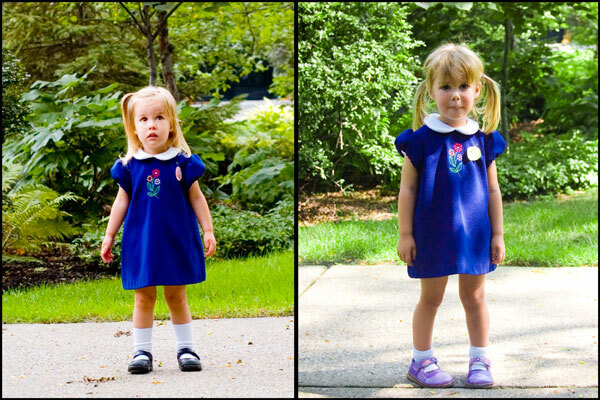 Yesterday she wanted to wear the same dress she wore on the first day of school last year. Remember how hard that was? This year things went a lot easier. She still hugs and kisses me goodbye, though. And it still hurts me a little to go.